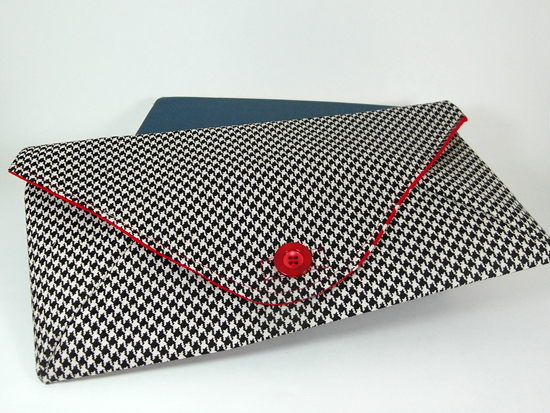 ' Hounds tooth Envelope Clutch - Sisters, What! I've had some new found energy lately and extra time so I've been doing a little more sewing than usual. I saw this week that See Kate Sew was doing an envelope clutch sew along and thought I'd join along. Last summer I found yards of hounds tooth fabric at the thrift store but didn't know what to do with it till now. I thought it'd be perfect for a clutch. My favorite part is the red lining that I made peek through when it is closed. 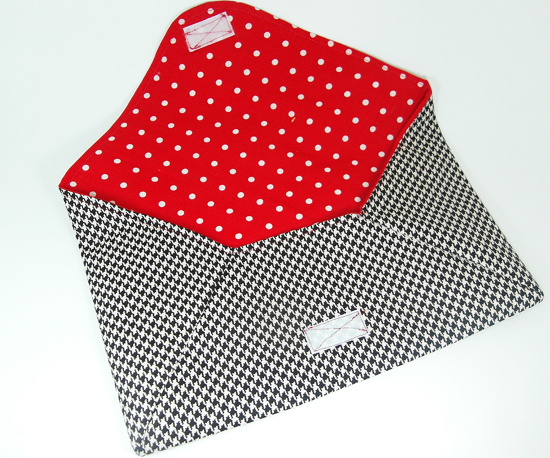 The red is a perfect accent and touch to the hounds tooth. So very cute! 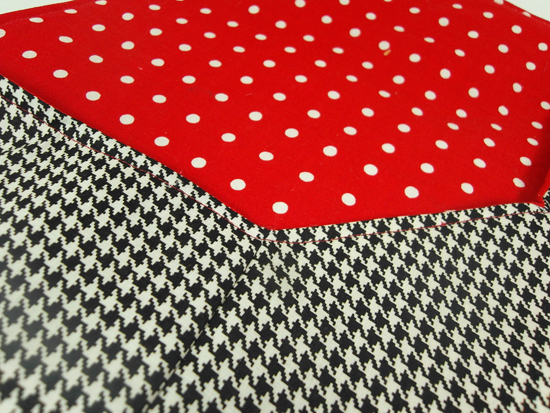 Love the two fabrics together!! I found your page from the Sugar Bee Craft party. 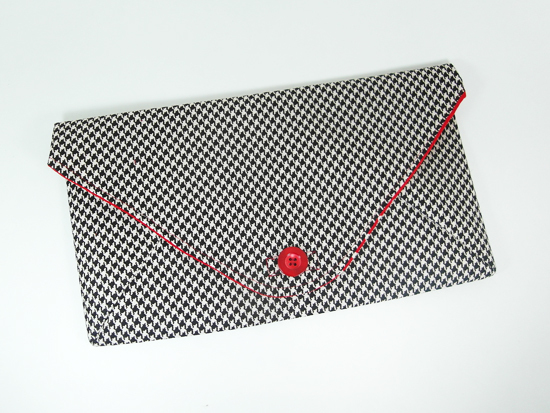 I was drawn to this purse by the houndstooth fabric. I just love that pattern. I would love it if you would link this and any other crafts, recipes and DIY projects to my In and Out of the Kitchen link party. Is is live now and runs until Wednesday! I hope to see you there! I love this clutch and the fabric is gorgeous. You have inspired me to fnd places to go where I can sport this. I usually carry my giant tote bag, especially when I am with the kids., good job!